If you have read the blog for a while you will know I love watches, in fact I did a full watch collection post which you can read here. One think that I really needed to do though was get something to keep them all in as I wanted to take more care of them and have them on display. 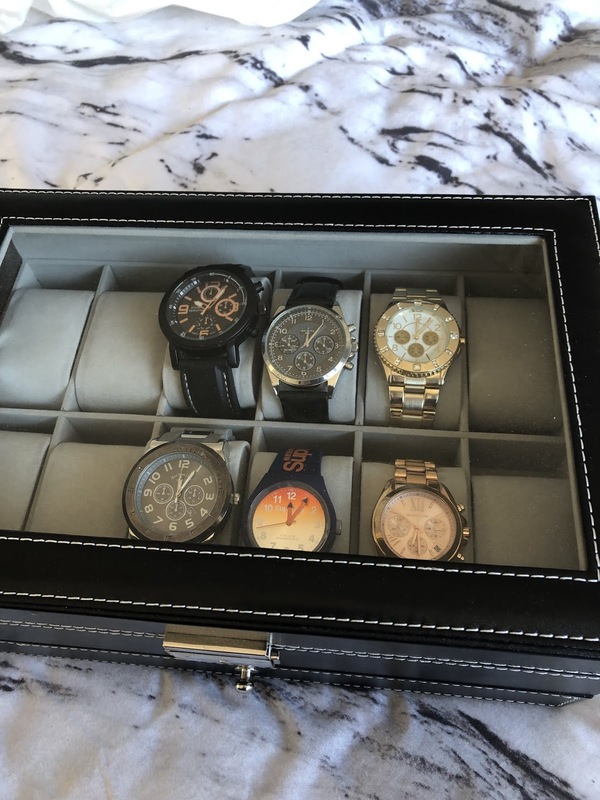 With us moving and the 3rd room becoming a bit of a dressing room for me, I found it was finally time to invest in a watch box. 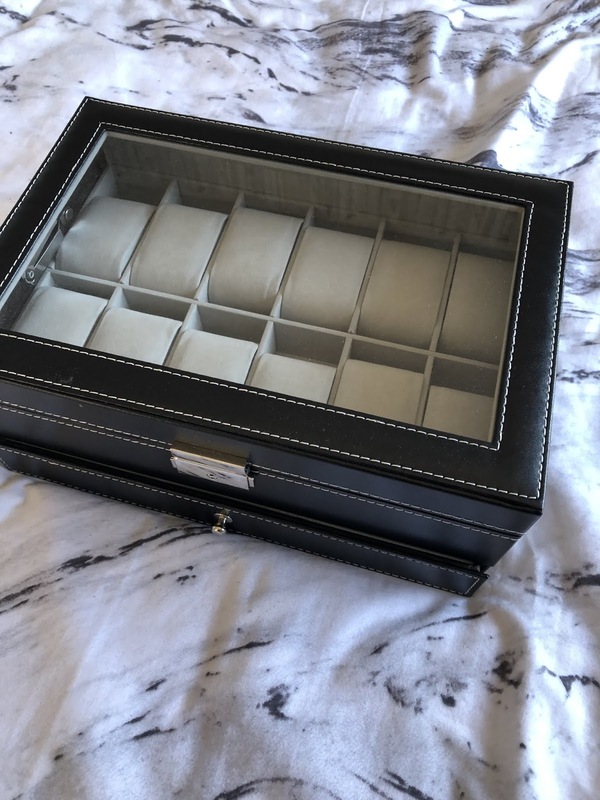 So after much deliberation I came across this watch box which holds 12 watches and has a jewellery box layer which is perfect as I don't own too much jewellery at the moment so I can now have everything in one place. I was really surprised with the space I had for each watch because as you can see above some of the watches have pretty large faces, but they surprisingly fit snuggly. In terms of the jewellery layer there is more than enough space for my current jewellery collection and once I get all that organised I will be doing another post all about that, which I can't wait for. I can't see any of the watches getting damaged in here either as they are a good distance away from the glass and the cushions actually feel like really good quality and will give the watches some good support and protection. The colour will go along nicely with the room too as it is going to be black and white. I honestly thought this box was going to be huge but I was glad to see it was a reasonable size that won't take over the surface it sits on. This box is going to look great on top of my Alex drawers once the dressing room is done and is going to make getting ready and picking the perfect watch a whole lot easier on a morning or when getting ready for those rare nights out. But looking at it now it just looks so empty, I think it is time to invest in some more watches in different colours. How do you store your watches? What should my next watch be?